Andhra Pradesh has staged a remarkable comeback to make it to the top five club in ease of doing business (EoDB) earning the fourth position as per details released by the Union government earlier this week. Telangana has been maintaining its lead at top position for several weeks now. When the department of industrial policy and promotion (DIPP), in coordination with the World Bank, launched the rankings in 2015, AP secured the second rank and Telangana had to be content with the 13th. In the present round of rankings, AP has secured 67.46 per cent points for its fourth rank and Telangana 70.73 per cent points to retain the top slot. Haryana (69.92%) and Gujarat (69.38%) occupy the second and third positions. Oxford Dictionaries has crowned “youthquake” as its word of 2017 in a nod to the unexpected level of youth engagement in this summer’s election in the United Kingdom. The emblem launching ceremony was held at the National Aquatic Center, which staged the swimming events during the Beijing 2008 Games. In 2022, this venue will be transformed into an ice rink for curling games. TheVijay Diwas daymarks the glorious victory over Pakistan in 1971 during the Indo-Pakistani War of 1971, in alliance with Bangladesh Mukti Bahini. On 16th December in 1971, the chief of the Pakistani forces, General Amir Abdullah Khan Niazi, along with 93,000 troops, surrendered to the allied forces consists of Indian Army. The anniversary of Vijay Divas is observed across India by paying tributes to the martyrs who laid down their lives for the nation. The merchant discount rate (MDR) charges on transactions up to Rs 2,000 made through debit cards, BHIM UPI or Aadhaar-enabled payment systems will be borne by the government to promote digital transactions. The merchant discount rate (MDR) will be borne by the government for two years with effect from January 1, 2018 by reimbursing the same to the banks. The move will have an impact of Rs 2,512 crore on the exchequer. It is a charge to a merchant by a bank for accepting payment from their customers in credit and debit cards every time a card is used for payments (like swiping) in their stores. The merchant discount rate is expressed in percentage of the transaction amount. For the time being, the objective of the RBI is to encourage maximum cashless transaction. Aiming this objective, the RBI has brought a policy of setting upper limit for MDR by banks. Here, the Reserve Bank had rationalized the Merchant Discount Rate (MDR) for debit cards with effect from September 2012. Since then, the MDR for debit card transaction has been capped at 0.75% for transaction values upto Rs.2000 (Which, now has been changed) and at 1% for transaction values above Rs.2000. 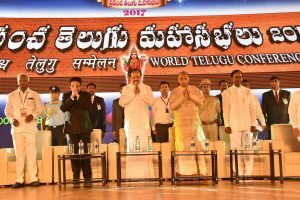 The third World Telugu Conferencebegan in Hyderabad amidst much fanfare. The main aim of the Conference is to promote Telugu and its literature besides helping the present generation learn more about Telugu language and its rich culture and heritage. 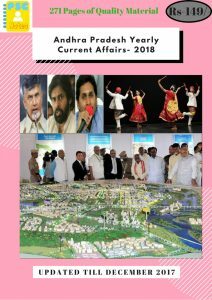 Telangana Government has put in place elaborate arrangements for the 5-day event for which about eight thousand Telugu speaking delegates from 40 countries all over the globe will be taking part. Vice-President M Venkaiah Naidu had formally inaugurated the Conference. Meghalaya became the first state in the country to operationalize The Meghalaya Community Participation and Public Services Social Audit Act, 2017, a law that makes a social audit of government programmes and schemes a part of government practice. 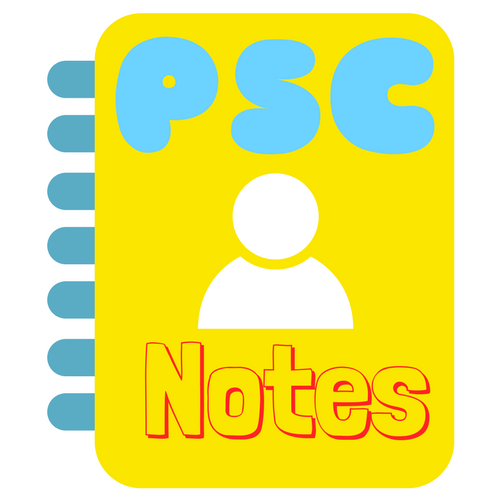 It was launched by Chief Minister Mukul Sangma at a national convention in Shillong. The law makes social audits part of the system as earlier it was civil society initiative rather than government-mandated.